There are many things you need for your business. From the workers you need to make your products to the supplies in your office, there is no shortage of things you need to buy. But how do you decide what you need in your shipping department? Well, there are some must-have packaging supplies every business needs on hand. Read on to find out what kind of packaging supplies your business may be missing. In the day and age of computers and email, envelopes may seem like the last thing you need for your business. But envelopes are extremely useful for mailing checks and legal paperwork or use padded envelopes for printed materials, smaller products, and books. Who doesn’t love to get things in the mail? So don’t skip on the envelopes. Labels are also an important part of stocking your business with packaging supplies. Shipping labels can be used for everything from bulk mail to boxes. Packing fill is an important part of keeping your products safe. Internal packaging materials include packing paper, air pillows, peanuts, and foam-in-place inserts. These fillers help to cushion your products and protect them from breaking while being transported from your factory to your customers. Bubble wrap and foam sheets help to protect fragile and pricey products from damage. You should have at least 2 inches of filler on all sides of your product to keep it adequately cushioned. Before you try and tape your box with average tape, you should think again. Packaging tape is made to stand up to the stress, strain, and weather conditions most normal tape couldn’t handle. There are two different kinds of packaging tape you can choose from: plastic tape and water-activated tape. These different options will help keep your products safe from the elements and keep the boxes from opening during transit. You may even want to invest in a tape dispenser if you plan on doing a lot of shipping. There are many different types of boxes that you can choose from for your business. Choosing a box that is too big for your product can cause the contents to move around during shipping. The products moving around could cause damage before it arrives at its final destination. But a box that is too small can cause your products to become squished. Choosing a box that is too flimsy is also a problem if something is stacked on top of it. Make sure to choose the correct size and type of corrugated boxes for your packaging department in order to get the best results. There are quite a few things you should always have on hand in your business. For more information on ordering your packaging supplies, call Arnold Packaging today! Arnold Packaging has the region’s most comprehensive offering of Packaging Supplies. 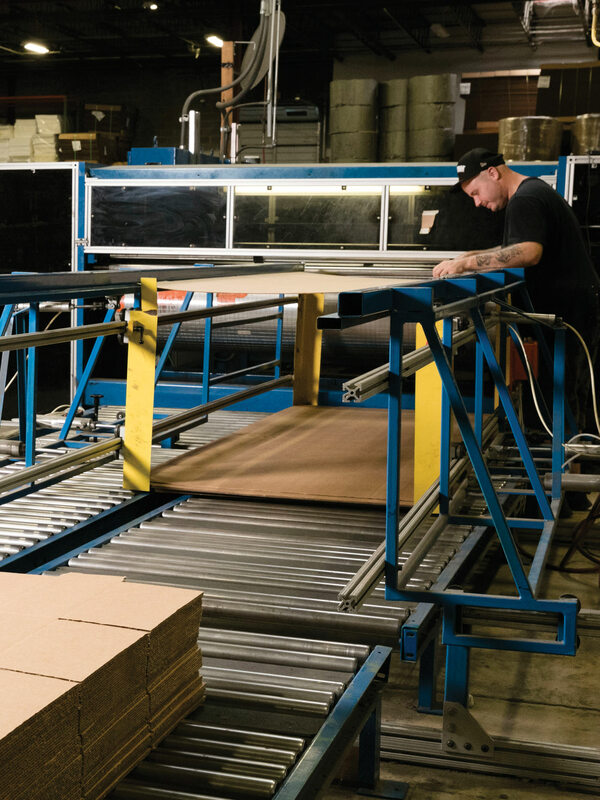 At our distribution facility, we offer packaging support services for clients in Maryland, Northern Virginia, Southern Pennsylvania, Delaware, and Baltimore City. Check out our extensive online catalog of packaging supplies to find out how our full line of packaging products can serve your needs. We are 100% dedicated to providing you with custom packaging solutions. Since 1933 Arnold Packaging has provided excellent packaging supplies and custom packaging solutions for just in time deliveries. Call us at 410-646-3200 or contact us on our website to learn more on proper packaging and packaging supplies. Follow us on Facebook, Twitter, Pinterest, and Google+ as well.